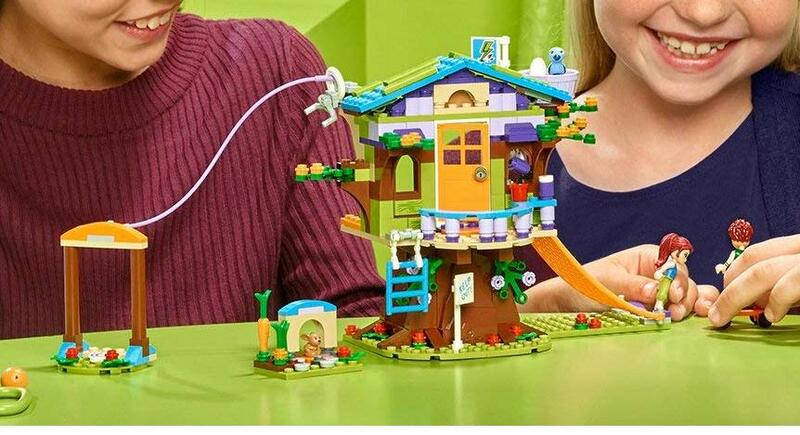 Both girls and boys will love building LEGO Friends Mia’s Tree House set where they can experience roleplay fun and creative adventures inside a detailed tree house toy. Includes a zip wire, attic with opening roof, and a climbing net. Tree house playset measures over 6” (16cm) high, 6” (17cm) wide and 6” (16cm) deep Bunny house measures over 1” (3cm) high, 1” (4cm) wide and 1” (3cm) deep 351 pieces – Creative building set for boys and girls between the ages of 6 and 12 years.